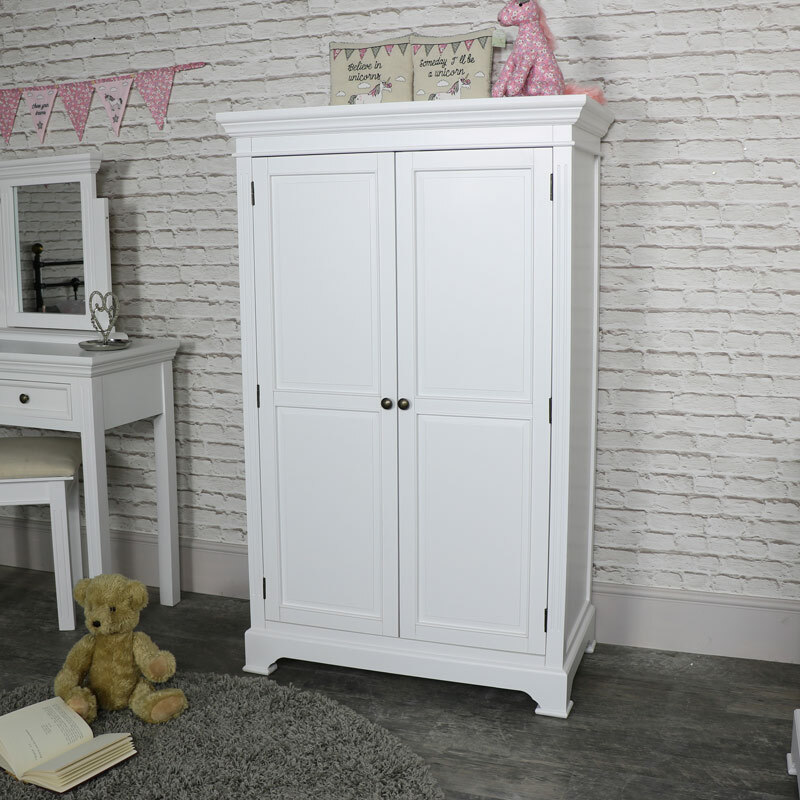 This is our Daventry White Range, a stunning bedroom set that fulfils all your bedroom storage needs with added style. This is perfect for anyone that loves the sturdy solid design of the vintage country chic. Painted in a clear crisp white colour, each piece is finished with round brass button handles that add that finishing touch. 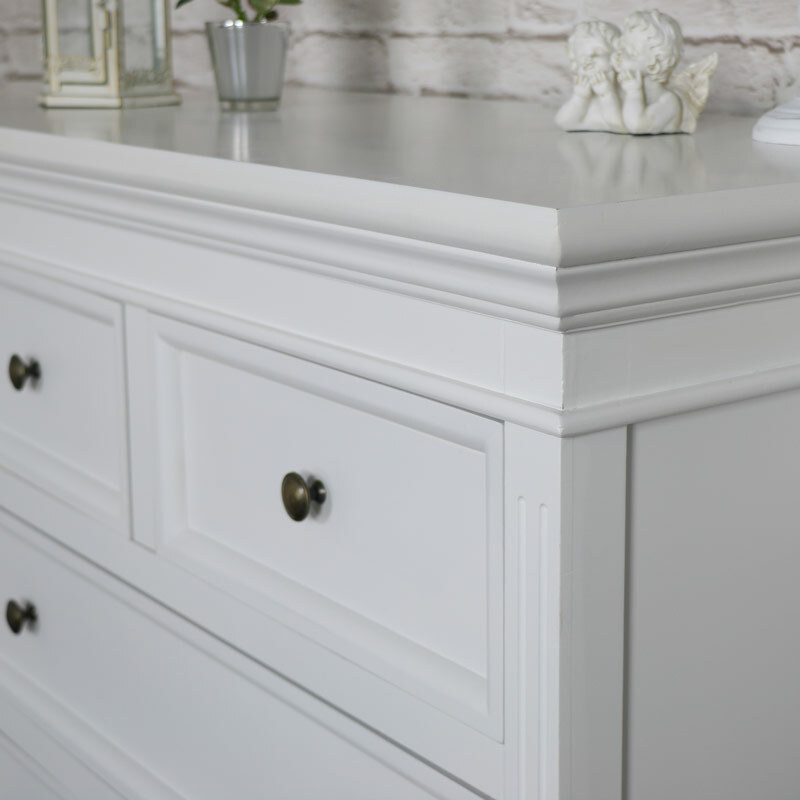 Carved features on the doors and drawers with more detailing on the sides and the solid legs just add even more character. A fantastic bedroom furniture set that comprises of a linen closet/low wardrobe, a 5 drawer chest of drawers, dressing table, stool and mirror set and completed with a pair of 3 drawer bedside chests. This set offers ample storage for your clothes, keeping them safe and neatly stored away. The closet features a hanging rail and 3 shelves which are removable, offering ample storage space in various combinations. 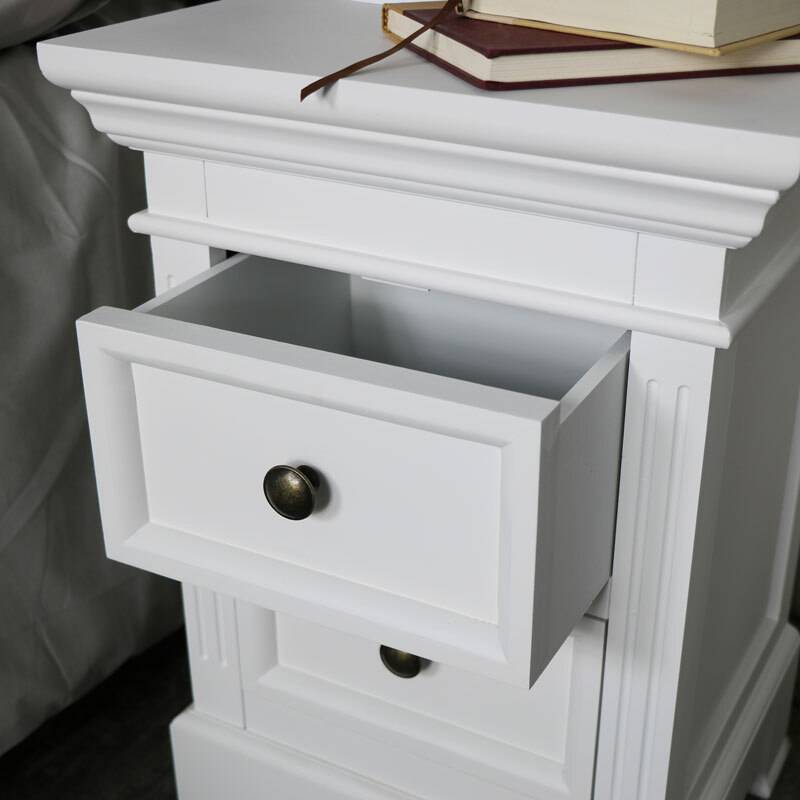 The chest of drawers, in a 2 over 3 design, and offers fantastic storage with the 5 drawers that will make up for what your wardrobe can’t hold or give you the perfect excuse to go shopping! The 2 bedsides each have 2 drawers which are great for storing your little knick-knacks or books with space to sit a bedside lamp on top. Their size is just perfect for sitting either side of your bed. This finishing touch is the dressing table set. 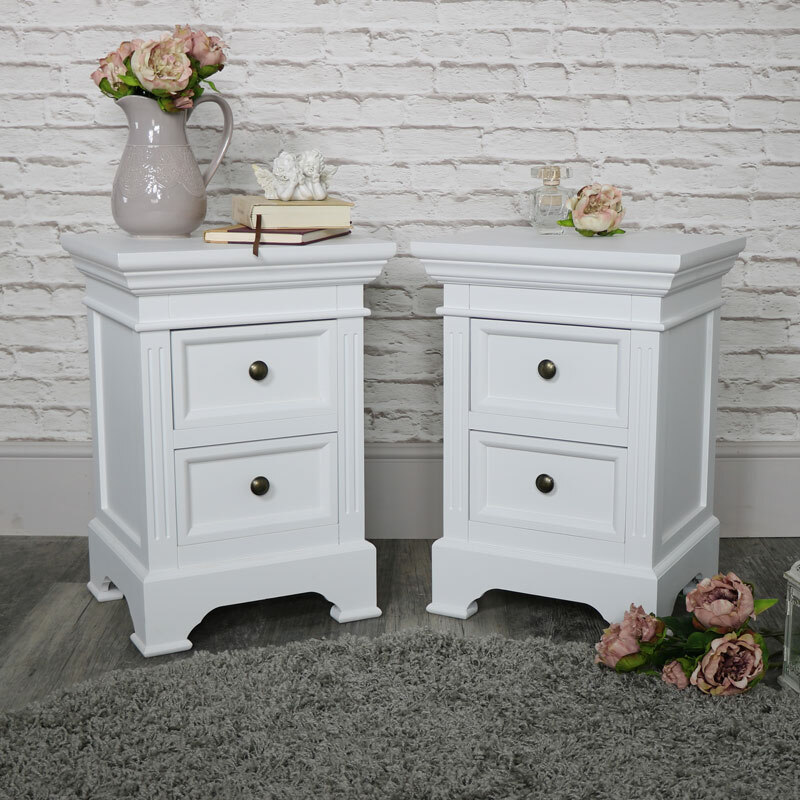 A fantastic bedroom furniture set that comprises of a linen closet/low wardrobe, a 5 drawer chest of drawers, dressing table, stool and mirror set and completed with a pair of 3 drawer bedside chests. This set offers ample storage for your clothes, keeping them safe and neatly stored away. The closet features a hanging rail and 3 shelves which are removable, offering ample storage space in various combinations. 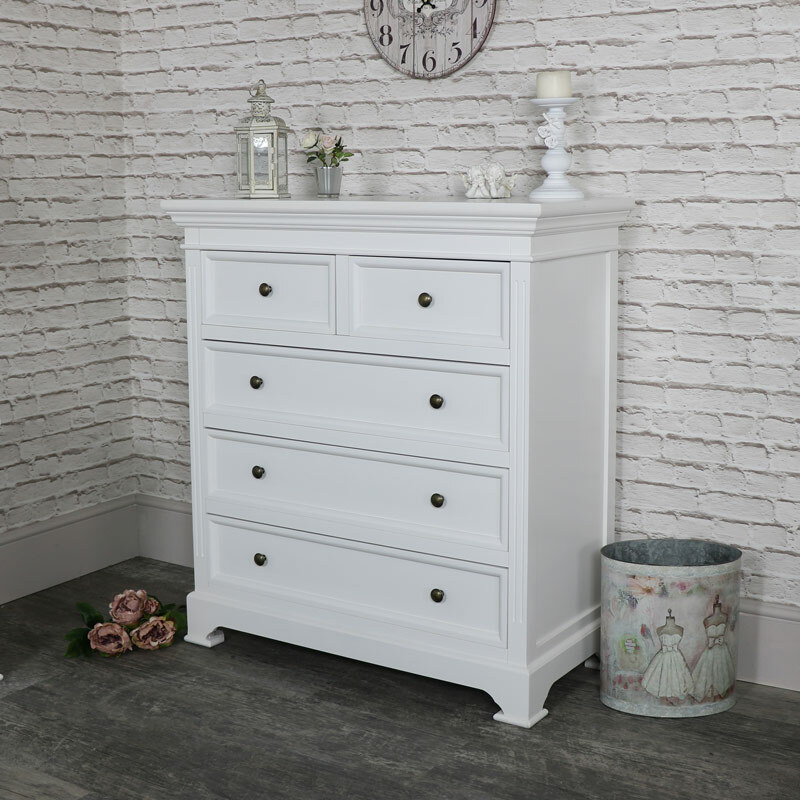 The chest of drawers, in a 2 over 3 design, and offers fantastic storage with the 5 drawers that will make up for what your wardrobe can’t hold or give you the perfect excuse to go shopping! The 2 bedsides each have 2 drawers which are great for storing your little knick-knacks or books with space to sit a bedside lamp on top. Their size is just perfect for sitting either side of your bed. This finishing touch is the dressing table set. This is just the place to sit when getting ready in a morning or for a great night out. 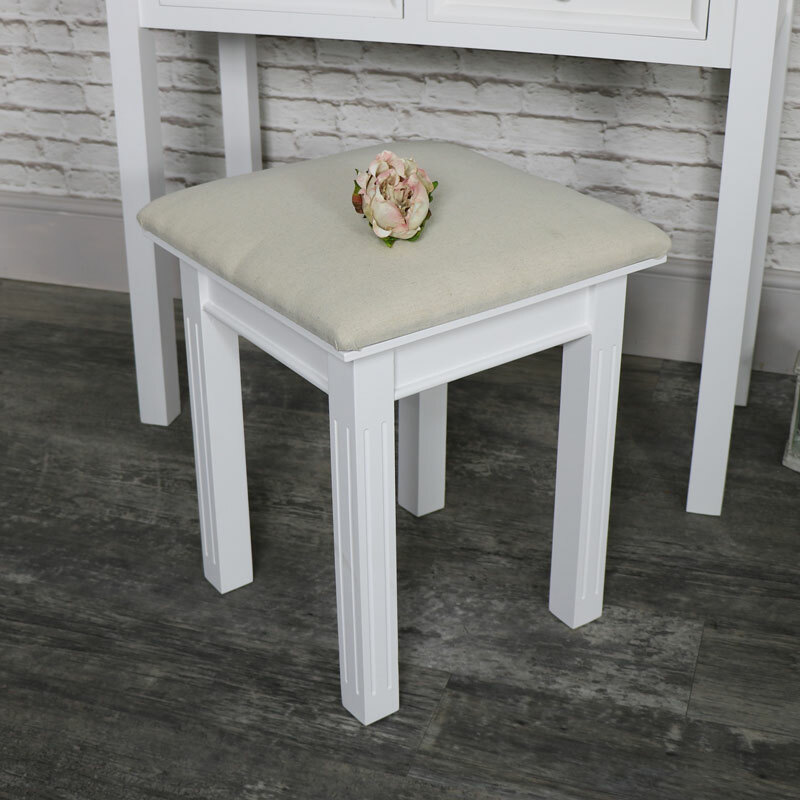 Two drawer storage on the table gives you a place for hair and make up accessories with a vanity swing mirror to sit on top and a comfy padded stool to sit on whilst you’re preparing yourself. In a solid and sturdy design and painted in a crisp white colour that will complement any decor. 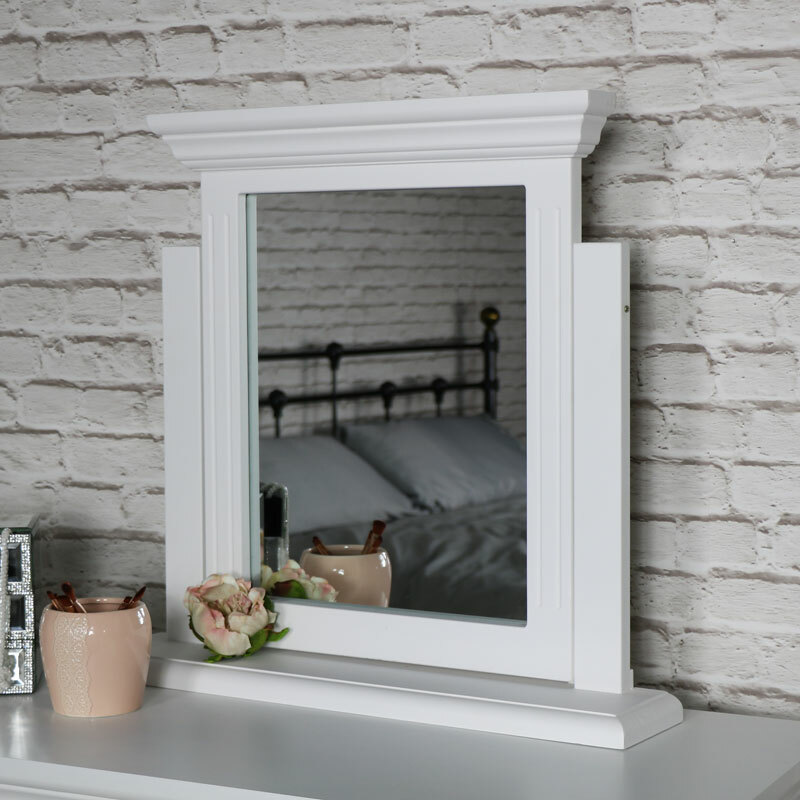 Most of the Daventry White Range comes full assembled with the exception of the dressing table. This just needs the legs attaching which is simple and easy to do then you're all set.